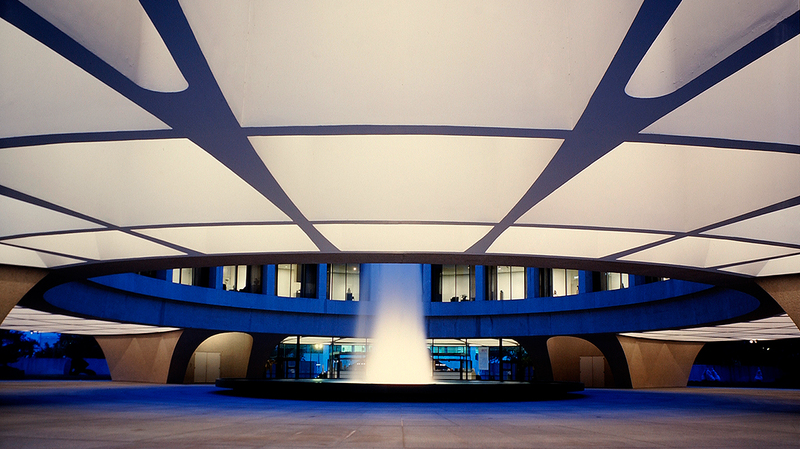 The Hirshhorn possesses one of the world’s largest and most comprehensive collections of work by Josef Albers (American, b. Bottrop, Germany, 1888; d. New Haven, Connecticut, 1976). Josef Albers: Innovation and Inspiration presents nearly seventy works spanning the artist’s 50-year career, many of which are on view for the first time. Supplementing the installation are key objects on loan from the Josef and Anni Albers Foundation. The exhibition encompasses the artist’s distinguished career, from his years teaching at Germany’s famed Bauhaus and Black Mountain College in North Carolina, through his influential role as chairman of the art department at Yale University. Albers’ early years are represented by bold designs in black and white, as well as those in red, yellow, and blue. These works demonstrate the artist’s interest in commercially manufactured materials, such as glass, and what would be an enduring focus on abstract forms. 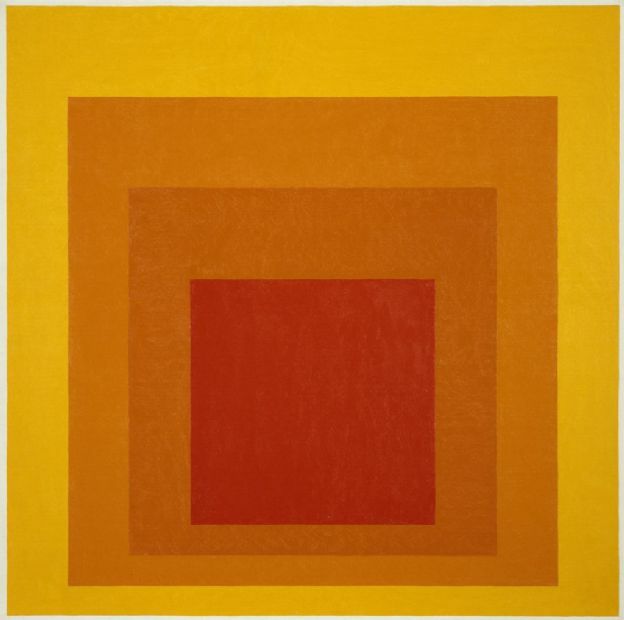 By the time Albers began his tenure at Yale University in 1950, he believed that color has no inherent emotional associations, and he emphasized the subjectivity of perception by meticulously examining its nuances. He eventually limited the shape and number of his forms, which resulted in a standardized format that he called Homage to the Square, for which he is best known. These images create optical illusions, challenging viewers’ visual acuity. Josef Albers: Innovation and Inspiration also includes documentary photographs, a video, and examples of Albers’ teaching aids, and concludes with several galleries representing a range of works by artists who knew, studied under, worked with, or directly inspired Albers. Pictured: Josef Albers’ Glow (1966), from the Hirshhorn’s collection.